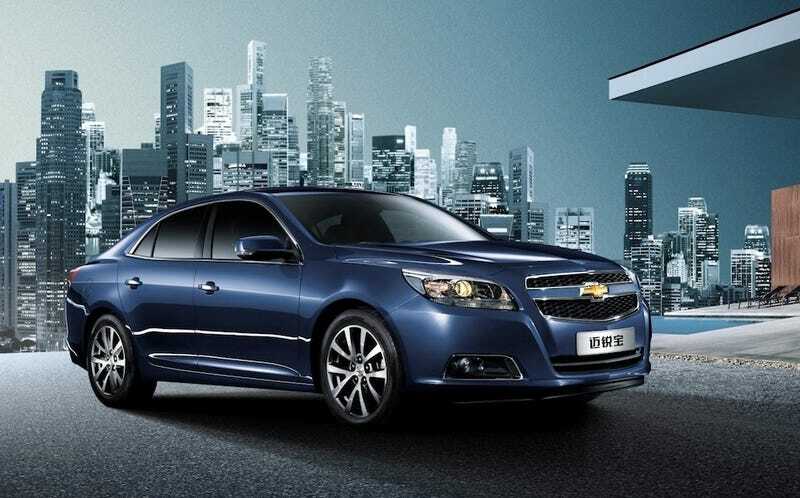 Although the embargo on the 2013 Chevy Malibu doesn't lift until Monday night's Shanghai and pre-New York Auto Show web reveal, there's more shots leaking out of the General's sieve-like media site. The latest — of a blue 'bu's uninspiring smiling face — gets the Shanghai skyline in the background. Ooh, how pretty! We mean the Shanghai skyline, of course.